If you’re the kind of person who wants to keep your vehicle clean and protected from the elements, then Precision Audio in Thomasville and Bainbridge has everything you need. We sell only the best-value, best-performing brands, and offer installation services on all of them. Here is a sampling of our most popular products. 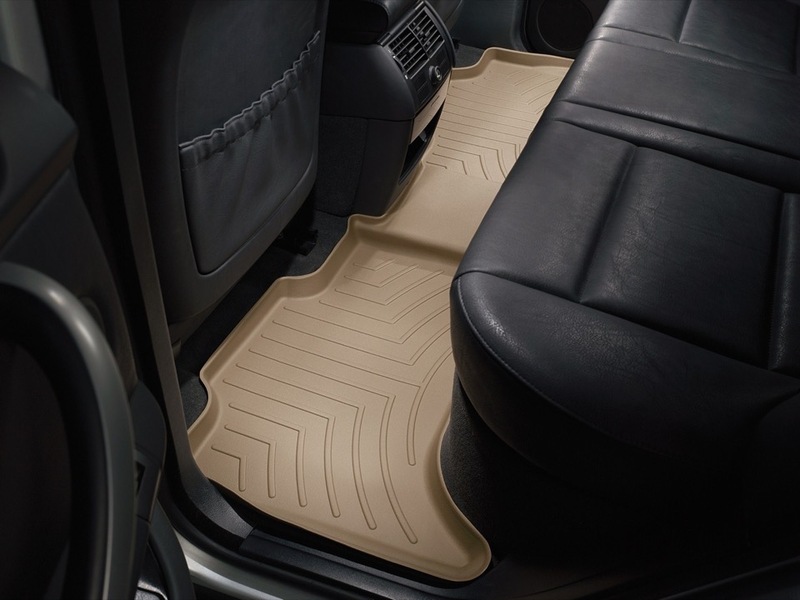 Floor liners may be among the most popular products we sell. Have you ever noticed that your vehicle’s original floor mats do a poor job of protecting your carpet from crud on your shoes when you get in the vehicle? A floor liner is very different from a typical mat because it wraps up the sides of your carpet to not only protect it better, but keep all that dirt and water contained. If you do get nasty stuff in your vehicle, you simply remove the floor liner, dump out the crud and reinstall the liner. And since it’s made of a durable composite material, it cleans easily by hosing it off with water. We have liners that cover the whole front floor in modern trucks, and fitments for every row of seating in your vehicle. Popular colors are black, tan and gray. 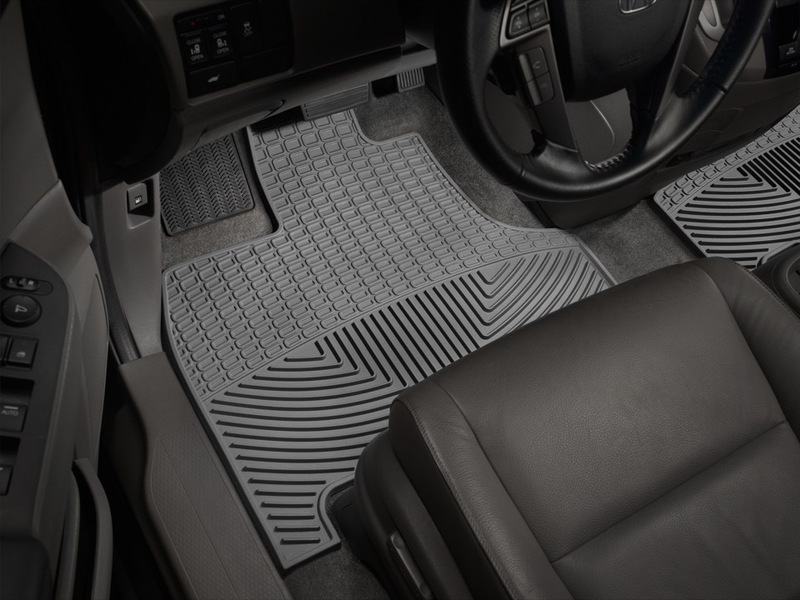 Floor mats are still a popular choice for many people who want a simpler, lower-profile product under their feet. Our mats are made of rubber, so they stay flexible in cold weather, and they are designed to hold much more dirt and water than a stock mat. Just like the floor liners, you simply remove them, dump out the nasty stuff, and reinstall them. And as they’re made of rubber, they clean up easily . The mats are also available in black, tan and gray. 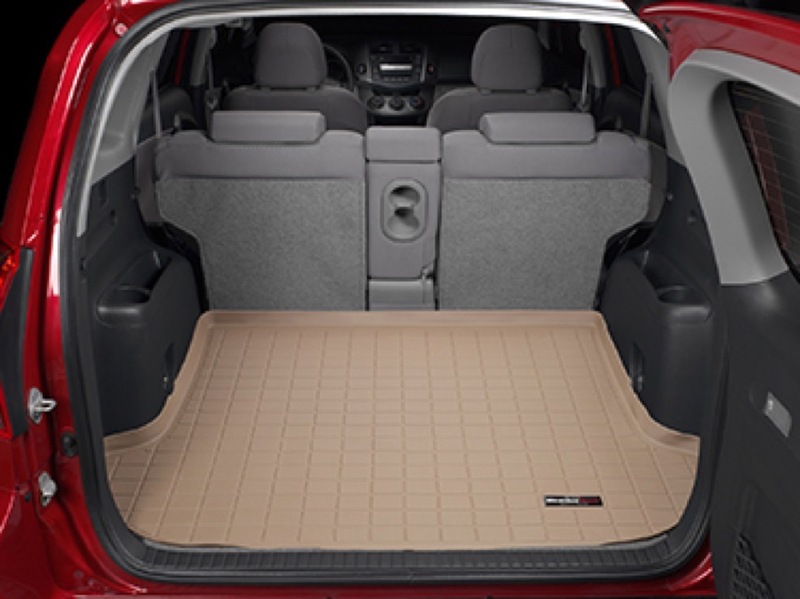 Cargo mats are designed to keep the rear cargo area of your vehicle clean and free of damage. Have you ever spilled something back there and noticed how long it took to clean it up? Did the spill cause damage to the vehicle? If you had owned a cargo mat, you would have just removed the mat, dumped out the bad stuff and reinstalled it. They are computer-designed to fit the cargo areas perfectly and have a lip that runs around the perimeter to contain any spills. 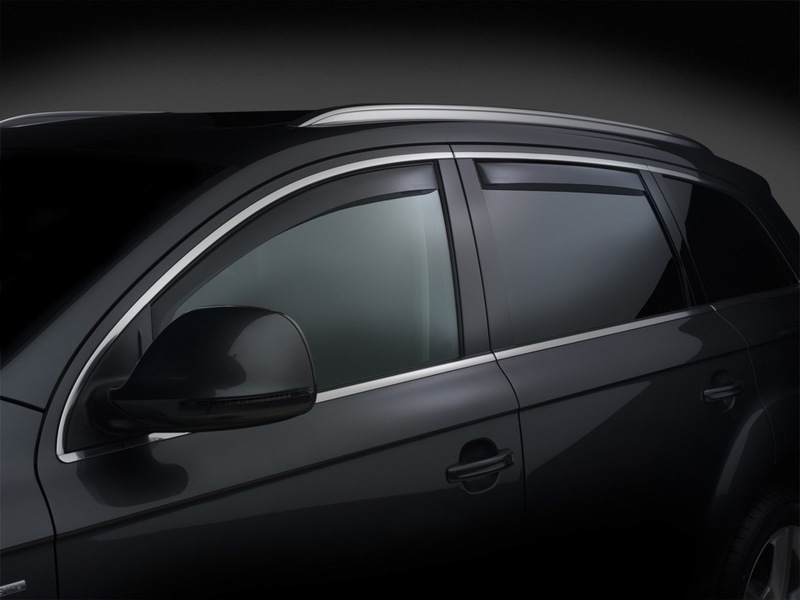 Rainguards, or ventshades, are extremely popular and effective for any vehicle. We mount them at the top of your side windows, allowing you to open the windows slightly without letting water into the vehicle. They also dramatically reduce wind noise when the windows are cracked open, so now you can enjoy that fresh air without getting a headache. Rainguards are made of smoked plastic and look right at home on modern vehicles. 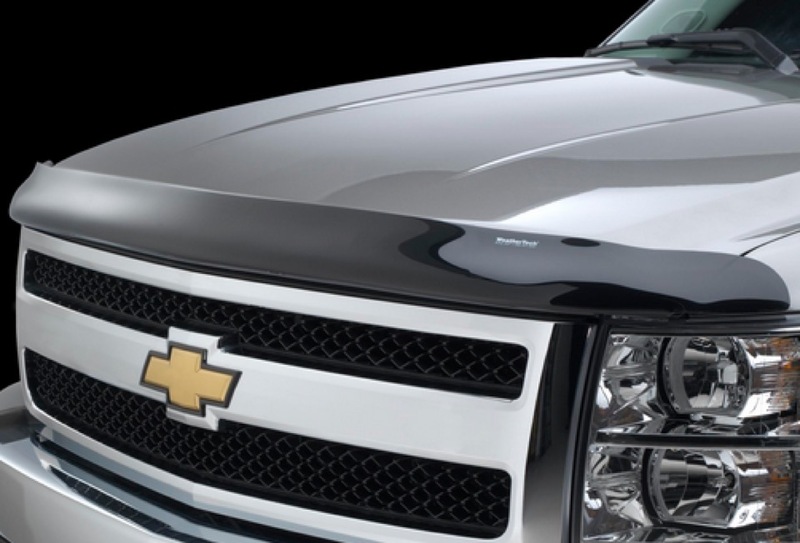 Bugshields, or hood shields, are made of the same material as rainguards, so they are a complementary item that protects your hood and windshield from bugs and small stones. The idea behind a bugshield is pretty simple: When you’re driving up the road at highway speeds, they deflect objects up and away from your vehicle, protecting it from damage. Mudflaps also work very well but are often forgotten. Have you ever washed your vehicle, only to drive it up the street and have the tires splash dirt up the side of the clean vehicle? A good set of mudflaps dramatically reduces road grime and water from being splashed onto your vehicle. 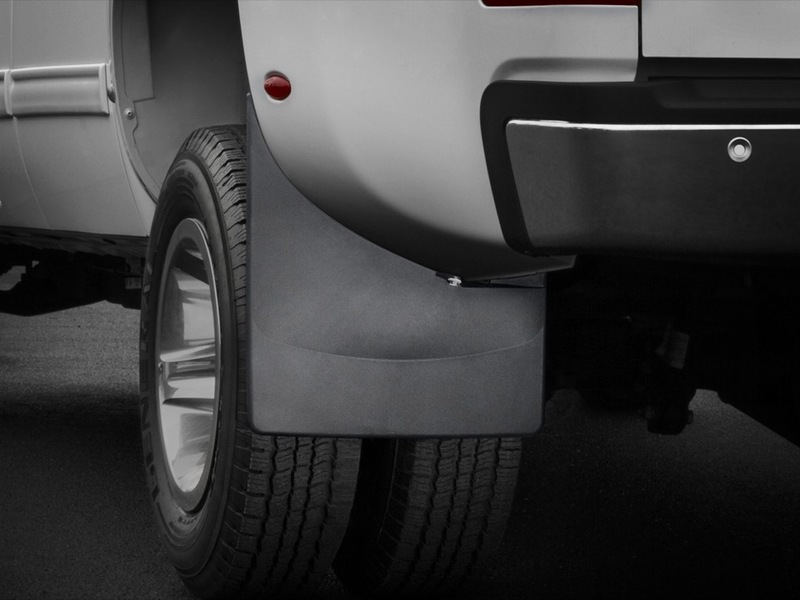 Our flaps are custom-fitted for your vehicle and designed to install without drilling, using a patented attachment method. We invite you to stop by Precision Audio and see our large selection of products that will keep your vehicle looking new for a longer period of time. While you’re here, we can give you a tour of our facility and let you see all the great things you can do to accessorize your ride.